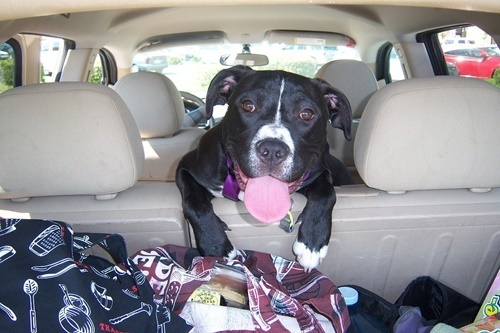 This is Part 2 of the article on pet-friendly sites for holidays and you can see Part 1 here. 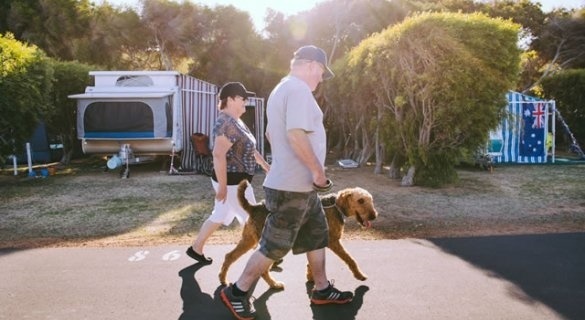 In this article, I will not give as much detail about each individual place, as I am giving you the links for each pet-friendly caravan and camping parks and I want to give you as great a choice as possible in the article. You can then make up your mind on which one or ones you would like to go to with your beloved pooch! Be mindful also that in some areas there are fox and feral cat baits, so make sure your dog is on lead where required. 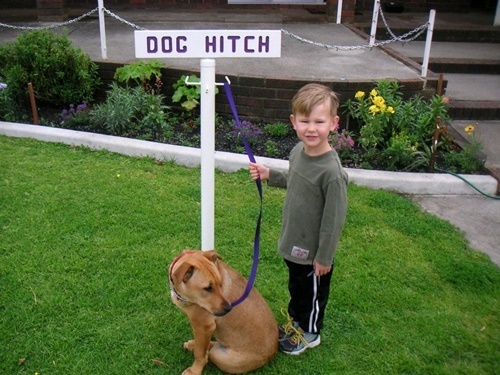 You also need to check the requirements for dogs as you mostly need to advise that you have a pet when booking. And don't forget, vaccinations must be up to date, and most caravan and camping places require a bond for the dog! My two fur babies are definitely unhappy when I kennel them when I go on holidays but after these two articles, they are waiting patiently for their turn to go on such an adventure! This Park is Augusta's only beachfront holiday park and offers a fabulous base from which to explore this beautiful part of the southwest. This site is surrounded by lovely gardens and close to the town centre. 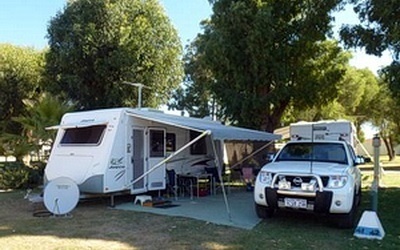 This caravan park is uniquely located just a 2-minute walk to the town centre, Busselton Jetty, safe swimming beaches and local hotels. 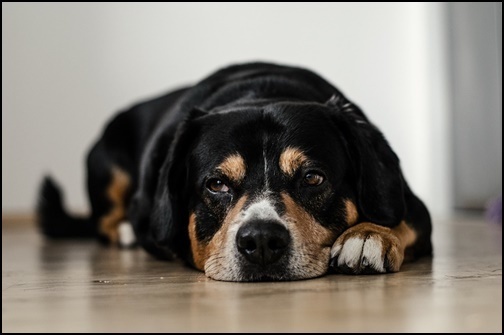 Dogs must be on leads and are not allowed during the Christmas and Easter holidays. This is a quiet Park on the foreshore of Geographe Bay and 6 kms west of the town of Busselton. These people even have a puppy daycare at just $15 for a full day which could be handy now and then! It is situated in a small town between Denmark and Walpole and overlooks the Inlet. Cheynes Beach is a protected cove, 45-minute drive from Albany and the Porongorups, and 75 minutes from the Stirling Ranges, and an accessible beach that stretches for kilometres. This park has powered, unpowered and cottage sites, and is just 2 km from the jetty and 2½ kms from Pink Lake. Set on 12 acres, this property has beautiful views and a canopy of trees. Fontys Pool is an icon in the South West, and is near Pemberton. 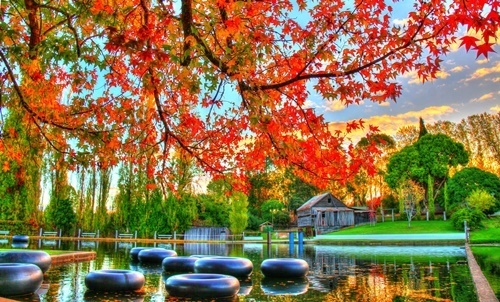 Kojonup is in the heartland of the Great Southern region, with several local wineries, and the caravan park is nestled amongst trees. Rest Point Holiday Village is a unique and picturesque waterfront location, located in the heart of the Walpole wilderness, on the banks of the Walpole and Nornalup Inlet Marine Park. It is surrounded by the Walpole-Nornalup National Park. Red Bluff is located on Quobba Station and is one of Australia's most spectacular, rugged, authentic and unique outback coastal working stations. 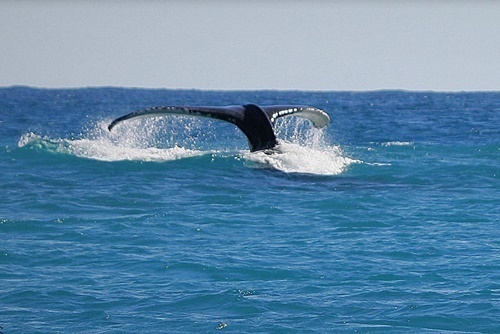 It is located 140 km north of Carnarvon and allows dogs only in certain areas. 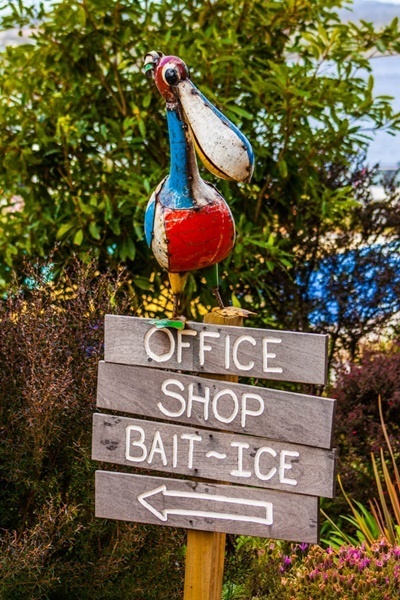 Cheap rates, warm weather and friendly service make this an all year round popular park! 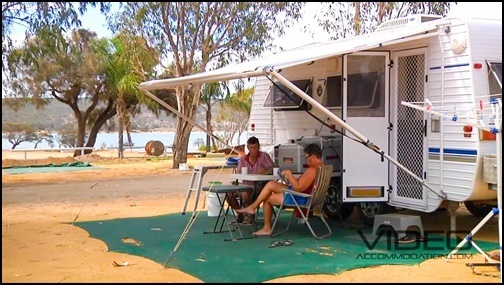 Alexander Bay camping area is on Alexander Rd, 85 km east of Esperance and a stunning coastline greets visitors to this shady camping area, which is situated in native bush just off the foreshore. These have some riverfront bays, however, pets are not allowed during school holidays. This park is situated near Mandurah and has tall pine trees sheltering it and giving much-needed shade in the summer months. You cannot make bookings here, but just turn up! This site is located 7 km east of Collie township on the Collie/Darkan Road. Stockton Lake is another bush camping and swimming area which was originally an open cut coal mine, but has long been abandoned and has filled with water. It's very popular for boating and water skiing. 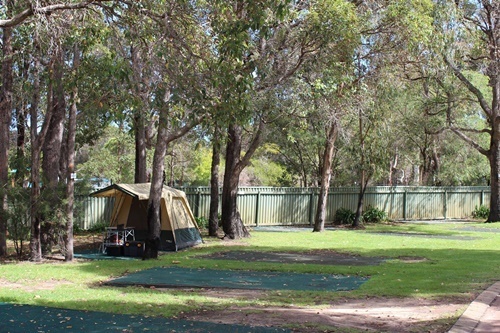 There are more smaller, less know camping sites throughout Western Australia. however. many of these even though they could be pet-friendly, do not have good facilities for campers, so I have not included them. Bon voyage, drive carefully, and most of all, enjoy this time with your family and pets!